Marieta was able to manage our group of 8 very well, considering that we had 3 elderly people (2 in their 70's, 1 in his 80's) and 2 teenagers. She was very good in explaining about the buildings/structures we passed by, and how it relates to history. The tour was a good mix of walking and private transportation (the van was very spacious). Excellent tour for the entire family. Marietta is very knowledgeable and professional. Marieta did a great job of giving us a quick overview of the history of Vienna. Although we didn't have a lot of time, her 2 hours tour helped us plan our visit in her beautiful city. Highly recommend her! Thank you Marieta for your wonderful escorted tour. You went beyond the planned itinerary and made it personal, memorable and very special. Your history knowledge is very admirable. We wish you best of luck and highly recommend it. Marieta was superb!! She was extremely accommodating and flexible. 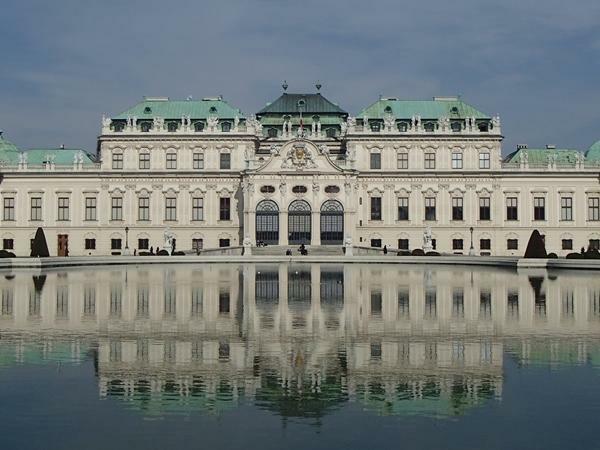 Marieta's knowledge of the history, art, and the daily life of the citizens of Vienna is unsurpassed. Thank you Marieta for a day we will never forget!! Marieta was brilliant and I want to tell everyone she just made our stay in Vienna with amazing information and made sure our tour gave us an excellent overview of Vienna - we went everywhere and saw so much and Marieta was the conduit that allowed us to do this - she was so kind and gave suggestions of good photo places - so good. This was a fantastic tour in all regards. Marieta was punctual and met us at our hotel. She has a great personality, related to us extremely well, showed us the highlights as best she could within the allotted time. She has a very pleasing personality and knows her City very well, and presents it in the best light possible. I recommend her highly. Great knowledge, lovely lady & a brilliant orientation tour, well worth it. Marieta is wonderful. She suggested that she take us for a really unique Viennese experience. We embarked on a wonderful unforgettable evening. Looking forward to the adventure we took public transportation to Vienna's wine producing suburb. Think beer hall but with local wines, local specialty food, traditional music and local folks (some dressed in authentic clothing) out enjoying Saturday night and some unseasonably good weather. We (4 of us) did a full day walking tour of Vienna. It was incredible. The pace was perfect, the information just the right amount and timely. Marieta was the ultimate host to this beautiful city. We have used Tours By Locals in other cities and its always top notch experience. Marieta was great and I would encourage any one seeking a great balance of Vienna's history, architecture, geography…with a little humor thrown in to use her. Great experience! Marieta led the most wonderful tour around Vienna! We had just arrived in the morning and met her at 2pm for a truly informative and enjoyable tour! We learned so much about the various different districts and the history. Knowing that we are all classical musicians, she incorporated a great deal of art and music into the tour. She is quite knowledgeable and it was a pleasure to spend the afternoon with her. What a memorable introduction to a fantastic city! We whole-heartedly recommend her! Having almost a full day with a great guide can make the difference between a good trip and a fantastic trip. Rapid bypassing of long lines to gain entry into popular sites. A guide can tell you more in a few minutes than most guide books and relate one thing to another allowing to become familiar with a city and its major sites quickly! Great day! Thank you Marieta! TOUR GUIDE RESPONSE: I apologize if I have hurt your feelings concerning the victims of the Holocaust, which I consider one of the biggest crimes in history. On our panoramic tour my intention was to show you the main sites in Vienna, make you familiar with the history and contemporary way of life of my city. I experienced you as curious and knowlegeble persons, asking many questions which I gladly answered and I had the impression that we enjoyed the conversation. I regret not having met your expectations. What a pleasure working with Marieta. She showed promptly at our apartment and helped us move seamlessly from one venue to another. Her wealth of information is formidable, and we established a good rapport right away. Highly recommended. We arrived Vienna with an embarrassing lack of knowledge about the city (& European history in general). Marieta did a fabulous job of conveying her amazing knowledge in a way that was easy to digest. Her facts and personal insights enabled us to truly appreciate this magnificent city. Marietta is very knowledgeable and very professional, and she gave us a thorough overview of the old city and all the wonderful architectural and historical sites within that district. Our group's thanks go to Marieta for a wonderful evening in Vienna. She is very knowledgeable and speaks wonderful English. We enjoyed the tour and her company with us. Marieta was a pleasure. Extremely knowledgeable about her city and very flexible when we requested detours for a shopping stop. I would highly recommend her. Marieta was fantastic. She showed us EXACTLY what we were looking for and described lots along the way. Pleasant, engaging and informed. Marieta has a warm, positive and very frank - kinda matter of fact demeanour. Loved Marieta, the tour was fabulous, Marieta's expertise and knowledge of Vienna was outstanding. We really enjoyed going up to the Vienna Woods and surrounding areas, a very unexpected highlight and something we would never have seen if Marieta had not brought us! Also our driver Ali was very good. Marieta met us at our hotel and off we went on our tour of Vienna. She is knowledgable about the history of the city and pointed out many sites as we walked. After a morning walk around the Hofburg area we took the metro out to Schonnbrun where she led us on the grand tour of the palace. Following the tour she took us out to the gardens and after explaining the rest of the property she left us to explore. All is all we had a pleasant day with Marieta. Loved the tour and would highly recommend her!! Marieta was very knowledgeable about history and art. I liked that she started the tour by sitting down and giving us an overview of the history of Vienna. I was amazed at all the sites we visited that day. Would highly recommend her! Very well organized and professional. We learned a lot and had a lot of fun. First class service! Marieta was very nice and very well informed specifically on Jewish History in Vienna. She was a ccoumadating and pleasant. Very informative and interesting. Marietta was great and flexible. Very knowledgeable, friendly and adaptive guide ! We liked the tour as such as well, with the splendour of the Melk Abbey and the out-of-Vienna town scenic Wachau valley, and the wine tasting. Overall a very good tour, by private van and leasurely on foot, with an excellent and recommendable guide ! Thumbs up ! I rate your tour as 5* and comment "Thank you Marieta for a most enjoyable and informative tour. My colleagues all enjoyed their walk around the beautiful city of Vienna." Our guide, Marieta, was waiting for us on time at our cruise boat with smiles. She was fully prepared with maps and books to show us as she gave us information we had requested. She was helpful, gracious, entertaining and knowledgeable. We enjoyed every minute of our time with Marieta, one of the best tours we have taken in our extensive travels. We would highly recommend this tour for anyone interested in past and present Jewish life in Vienna from the Middle Ages to current times. Marieta is a great guide and took me to a restaurant with great food where the locals go. Really enjoy her company and knowledge. Gave great recommendations for places for great food. We had a wonderful time on our tour with Marieta. She was great with our family and accommodated the all of our wishes in terms of visiting Vienna. She was upbeat, very informative and had tremendous knowledge of the history and culture of Vienna. We would recommend her to anyone that is visiting Vienna! I had been to Milan several times--but somehow never managed to get to the wonderful places Marieta introduced us to. She showed us some wonderful surprises. Bless you, Marieta! This was the second tour we took with Marieta and it was as excellent as the first. There was a lot of information about the music of Vienna, the famous composers, and we visited several interesting and historic musical sites. Marieta was very flexible so she accommodated our request to see a couple of sites we had missed during our stay. Very pleasant and enjoyable tours. Well worth taking for those who appreciate classical music. Marieta was a joy. The weather was terrible, but it didn't matter. She was charming, informative, and we really saw as much as possible in Vienna in one day. Would definitely recommend. We thoroughly enjoyed the day with Marieta. She possesses a wealth of knowledge about Vienna. In addition, she is well travelled so she knows what it's like to be a visitor/tourist in a foreign place. She's a true professional - personable, flexible, organized, knowledgeable. It felt like we were spending the day with a friend. Highly recommend her. Marietta was really friendly and knowledgable. The tour was relaxed, informative and immensely enjoyable. She has a good grasp of English and knows a lot about the region as well as Vienna and was able to share this information in an interesting and easy to understand manner. I highly recommend her as a guide. Our guide, Marieta was excellent. Knowledgeable and accommodating. She went our of her way to make our tour perfect. Marieta provided a wonderful tour of Vienna. She was extremely informative and pleasant to be around. I would highly recommend this tour. Especially for a first time visitor to the city. Marieta is a very knowledgable guide with excellent English skills. Attentive to our needs and questions. Comfortable car. We would have no hesitation in recommending Marieta as a guide. Marietta was terrific. Very informative. Helped explain the history as well as the psyche of the current Vienna population Highly recommend this tour. Only suggestion is that since the movie Woman in Gold has just been released, the tour should add the house of the Altmans. Thanks again. Marieta was outstanding. She is super knowledgeable and really knows her history. She can go very deep on a specific topic, or keep things light and fun. The best part of the tour was that after we took in all of the tourist sights, she took us to where the locals go to dine, have a drink, take in spectacluar views and more. 5 Star Rating from Joel and Katie! I really enjoyed my tour with Marieta. She is an outstanding guide, but she was also flexible in creating a tour that suited my needs and generous with her knowledge in helping me plan my next day in Vienna. Recommended. What a special day!!! Marieta was a joy to be with and learning about Vienna through her knowledge was a great treat!!! We would encourage others to book with her and we will do it again!!! We're very glad we took the Photography tour in Vienna with Marieta. We were able to personalize our itinerary to meet our unique interests and make best use of our limited time. Marieta was well-prepared and very knowledgeable and flexible -- a real pleasure to be with. She went out of her way to be helpful to get us a particular photo we wanted. I'm sure some of our photos will become iconic memories of our trip. TOUR GUIDE RESPONSE: Dear Nicolle, dear Don, I wish you a lot of success with the Astrodon Imaging and hope to hear from you on another ARS Electronica exhibition. Marieta did an excellent job and is very personable and knowledgable. The driver was great and made the navigation of the city center easy. This was an excellent tour. Marietta was very knowledgeable. We really enjoyed the day with her. Vienna is a beautiful city and the walking tour was an excellent way to see it.